This webinar guided agencies through the application process for an NPI number and also provided a general overview of its significance and utility. 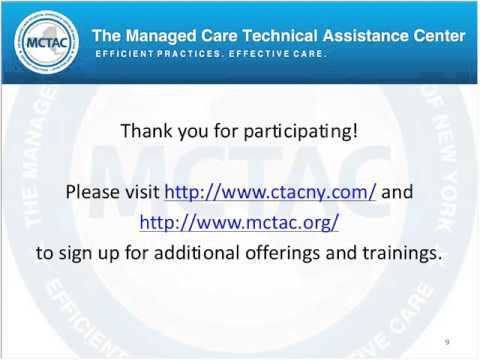 This web-based training is particularly important as HCBS providers must have either an NPI or MMIS number in order to bill for HARP services. All HCBS providers are eligible for an NPI number, under the "other community behavioral health" category. Getting an NPI number is the first step in preparing to bill managed care plans.